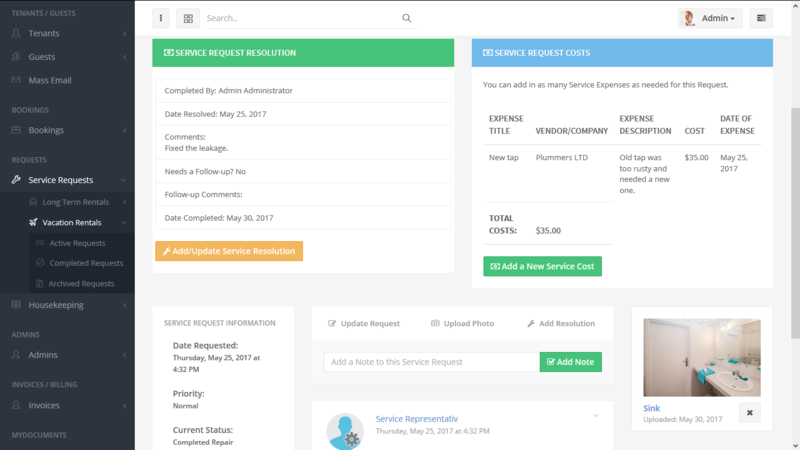 Manage and track all of your service requests in one place so that you know when and who is doing what! 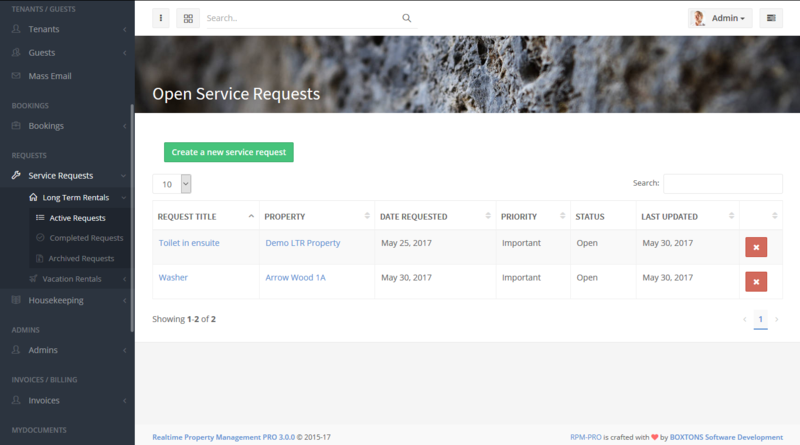 Thanks to the amazing service management you can now manage all of you service requests in one place! As soon as a request has been added an automatic email will be send to your email and will show on your account. You can view and update all of your requests within the software! 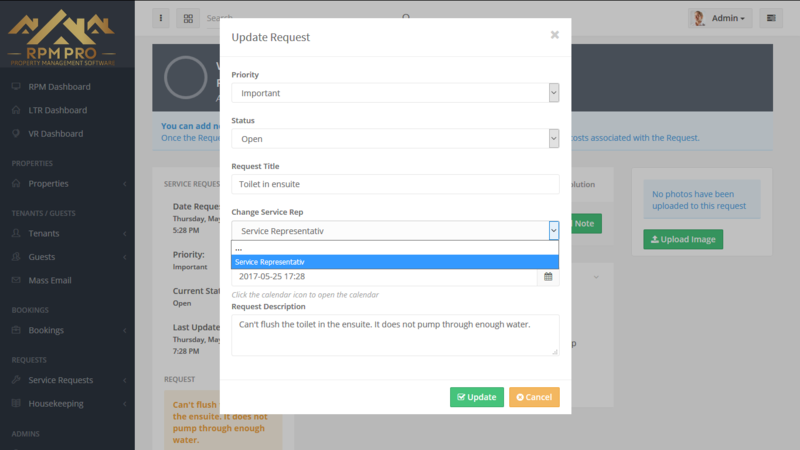 When you receive a service request you can easily assign a technichian and update it's information, set the time and date for when it needs to be fixed. The assigned technichian can then update and view the request from his/ hers account. You and your service rep. can keep track of how much each service is costing you and how much you need to invoice. 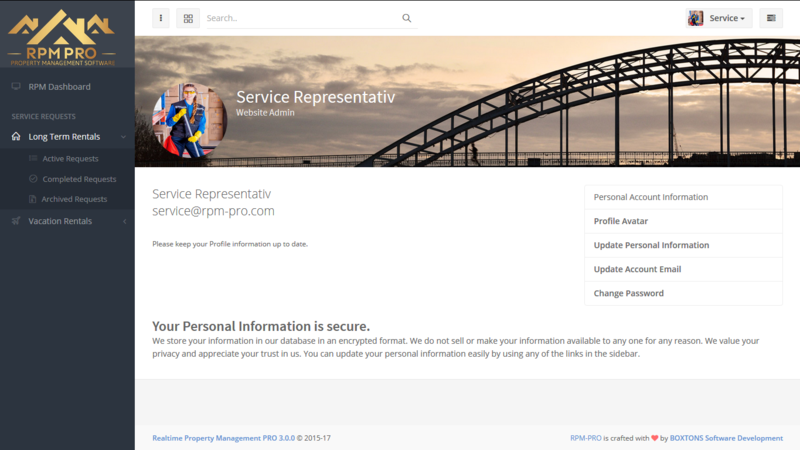 RPM Pro makes this possible for you to track all of your expences and provides with a clear overview of all your active, completed and archived service requests. When a request is completed it is instantly moved to a seperate page, not deleted. If you ever need to find an old request you simply look in archived requests instead! RPM Pro has made is as easy as possible to send in a request. This will help you (technichians too) as well as your tenants and guests to easily keep in contact if an issue arise with a property! Choose the right RPM Pro for you, monthly, yearly or lifetime!